CLEVELAND, March 25, 2019 /PRNewswire/ -- US demand for decorative tile in flooring applications is forecast to climb 2.3% per year to 3.5 billion square feet in 2023. The residential market will support demand for decorative tile's use in flooring, as rising personal incomes will allow more homeowners to undertake such projects as the renovations of kitchens and bathrooms and the addition of new bathrooms. These and other trends are presented in Decorative Tile, a new study from The Freedonia Group, a Cleveland-based industry research firm. Porcelain tile will see the fastest growth rate through 2023 of all decorative tile material. Gains will be driven by porcelain's increased adoption due to durability, wear and slip resistance, and aesthetic qualities. Porcelain tile flooring can be made to look like natural stone or hardwood planks and to feature highly textured surfaces that are seen as attractive by many consumers. The rise in popularity of thin porcelain tile (TPT) – which is lightweight, durable, and easy to install – will further support gains. 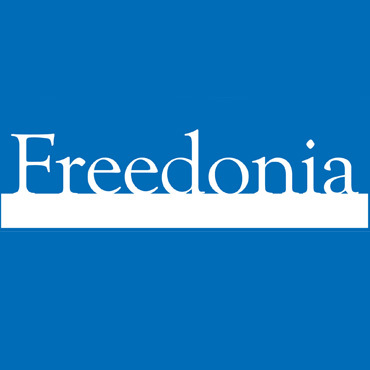 About The Freedonia Group, a division of MarketResearch.com – The Freedonia Group is a leading international industrial research company publishing more than 100 studies annually. Since 1985, we have provided research to customers ranging in size from global conglomerates to one-person consulting firms. More than 90% of the industrial companies in the Fortune 500 use Freedonia Group research to help with their strategic planning. Additional Construction & Building Products studies can be purchased at www.freedoniagroup.com, www.marketresearch.com and www.profound.com.